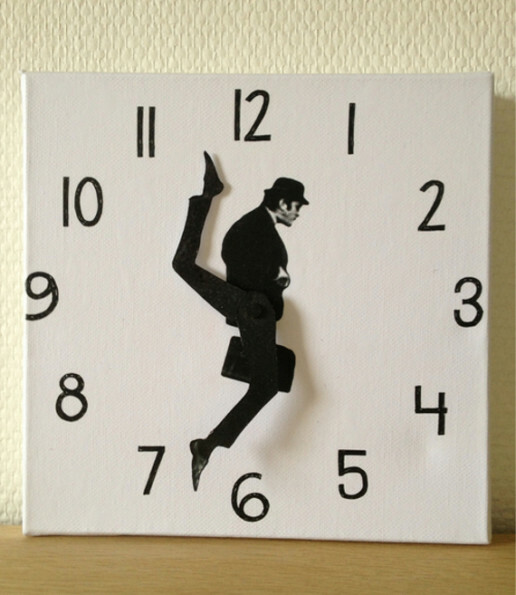 This is a wall clock inspired by The Ministry of Silly Walks, John Cleese’s iconic Monty Python sketch. It was made by Susanne Lindberg who was kind enough to share the DIY instructions with us so we can run out and buy all the supplies with visions of how good it will look on the wall. Flash forward to three months from now and all the pieces will still be in the packaging, collecting dust, stuffed in the back of our coat closets. But hey, it’s the thought that counts, right? RIGHT?